All Pittsburg homes currently listed for sale in Pittsburg as of 04/21/2019 are shown below. You can change the search criteria at any time by pressing the 'Change Search' button below. "OPEN HOUSE SATURDAY 04/20 FROM 12 PM - 3 PM! WHAT AN OPPORTUNITY! STUNNING VIEWS FROM THIS HILLTOP LOCATION! BEAUTIFULLY MAINTAINED FAMILY / EXECUTIVE HOME! SPACIOUS OPEN FLOOR PLAN! GUEST SUITE AND BATHROOM DOWNSTAIRS...LARGE LOT WITH NO REAR NEIGHBORS..READY FOR YOUR CREATIVE YARD & LANDSCAPING IDEAS. COMPLETELY FENCED YARD WITH SWEEPING UPSLOPE..VERY PRIVATE SETTING..NICELY MAINTAINED STREET AND GREAT NEIGHBORHOOD! 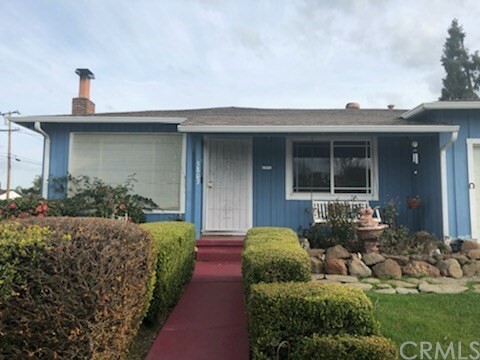 CLOSE TO BART & HIGHWAY 4 FOR EASY ACCESS TO BAY AREA! A MUST SEE!" "OPEN HOUSE SAT. & SUN 4/20-4/21 from 2:00pm-5:00pm. Move in ready! Newly renovated 4 bedrooms 3 bath with open and bright floor plan. Beautiful kitchen set up with quartz counter tops, back splash, stainless steel appliances, new cabinets, tile flooring and recessed lights. 3 bedroom 2 baths on main floor. Junior master suit on upper level with walking closet and full bath. Upstairs also offers a large room with natural lights, surrounding views and balcony perfect for gathering and entertainment .Freshly painted inside and outside. New roof and HVAC. Great neighborhood! Lovely home waiting for new owners to enjoy. A MUST SEE!" "Open House: Saturday, April 20th FROM 2-4pm. This charming Single Story 3 bedroom, 2 bath home is a MUST SEE! Great location, close to parks, schools, shopping and recreation! New Paint, New Carpet, and Recently Updated Kitchen and baths. Nicely landscaped yards with lots of space for play, gardening, entertaining, and also affords potential Boat/RV access and storage. Don't miss out on this one!"